Phoeneagle Thermal CTP plate(PGE) is designed to meet the needs of sheet-fed and we printing-consistency, cost-effective, easy to use and quality. This positive acting plate for 830nm CTP systems provides excellent imaging qualities and reliable printing behaviors. 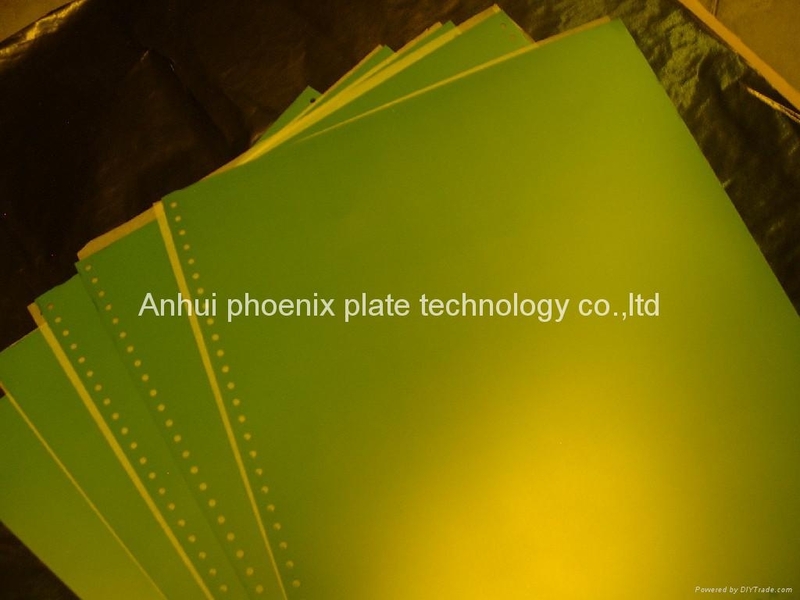 PHOENEAGLE UV-CTpP and UV-CTnP ps plate are researched and developed innovatively by Anhui Phoenix Plate Technology Co.,Ltd to meet the UV-CTP(CTpP/ CTnP) technical progress. the plate not only can meet the demand of UV-CTP(CTpP /CTnP）plate making but also be applied to traditional and manual plate making technic. Excellent component combination and producing technics make the plate to be provided with high-sensitive, strong compatible, stable quality and so on characteristics. Using high grade Aluminium as the backstop to keep the even surfance, exact dimension and all kinds of physics and mechanical capabilities. Compound halftone frame, close-grained oxidation layer. Making halftone frame on the substrate by a series of mechanically abrading and electrochemistry techniques to form multilayer Compound halftone frame and close-grained oxidation layer on the surface to ensure the plate to keep exact dot-reproduction and excellent endurance. UV-CTpP/CTnP ps plate adopt Hydrophile managed substrate to not only ensure the firm combination between sensitive layer and substrate but also improve the balance between water and ink so that it prevent from scum when machine idle and during printing. We have been supplying the following products with many countries enjoying a good reputation for years. We have the technoloty to capture the worldwide market and the high quality to catch your mind. Whenever you need anything from the total printing system to consumption goods of printing. We offer the best service from consulting to supply to warranty. Especially We take care of : Negative printing plate Positive printing plate Developer Gum, chemicals etc. If you are interested in our products any chance,please do not hesitate to get intouch with us. We are always ready to send you the most competitive prices with the samples on your demand. If possible, however, please inform us description, estimated order quantity, etc. in details so that we can send you our correct quotations and samples. We look forward to hearing a favorable reply from you soon.